A new generation mesh pad made from anti-bedsore material used in hospitals, Cosypad® offers comfort, hygiene and ease of cleaning. It is preferable to grates, underpads, and others bedding. Its aerated structure keeps animals clean and dry. Cosypad® provides comfort to animals and saves professionals time. • Reduces the pressure exerted on muscles and joints for optimal comfort and the prevention of bedsores. • Hygienic: liquids drain under the pad, leaving the animal dry. • Does not retain fur. • Good aeration, allowing better healing of wounds and better thermoregulation. • Hypoallergenic material, odourless, antibacterial. • Very strong, mould-resistant and insulating. 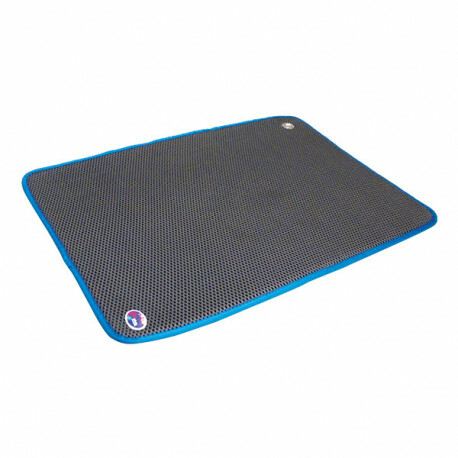 • Reinforced seams and tough nylon on the edges for better durability. • Rounded edges to avoid chewing. - Use of dryer and spin cycle not recommended. • Suspension eylet for hanger (code 307117) for easy storage. 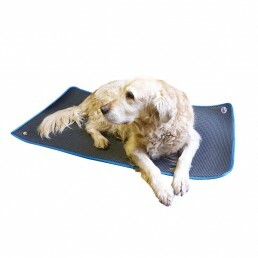 - as anti-fatigue mat (for the surgeon). 327200 33 x 50 cm Unit Box of 40. 327201 39 x 71 cm Unit Box of 40. 327203 55 x 71 cm Unit Box of 20. 327205 60 x 115 cm Unit Box of 20.